Unique among books about the Hurricane this book seeks to show the squadrons that operated it rather than the ‘nuts and bolts’ view usually given. As well as the 1940 fighter squadrons attention is given to units using later marks as the war progressed for night-fighting, and ground attack, and the book uses over 350 high quality wartime images, many previously unpublished, to illustrate each squadron in turn. Extended captions, details of bases, marks of aircraft used and code letters complete a visually stunning tribute to the RAF’s famous fighter. 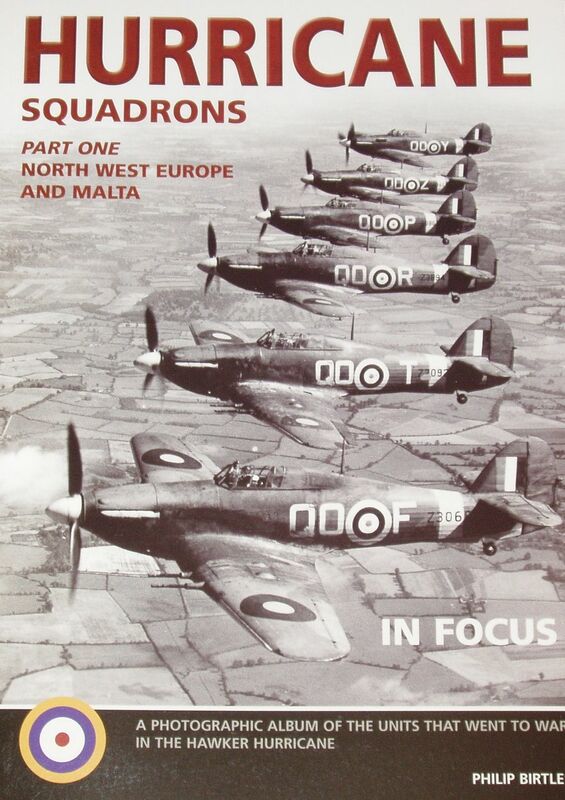 Many of the leading pilots and ‘Aces’ are illustrated together with biographical notes. The Canadian, Czech and Polish squadrons are particularly well represented. A list of production batches and serial numbers is included and at least one page is devoted to the technical specification of each the various marks. The photographs are mainly presented in large formats, giving modellers the chance to examine the details easily, and the high quality gloss finish paper aids the high definition reproduction. In addition, four pages of colour side views by noted technical illustrator Mark Rolfe provide colour reference to the different schemes worn by Hurricanes in Europe.